There was celebration in several corners of the insurance industry (particularly in the agency system) this past week as news broke that Google was pulling the plug on its insurance-shopping comparison site, Google Compare. Carriers are certainly open to all cost-effective distribution models for the insurance products that they sell, but there still exists an uneasiness with the online distribution model that emphasizes price as they key differentiation above all else. Commoditization of the insurance product and service is a race to the bottom, as the industry knows all too well. Independent agents, on the front lines of the industry, know this better than anyone. Which is probably why there was rejoicing among the independent agents I was hanging out with earlier this week at the MAIA convention when a speaker mentioned the Google Compare news. But the story is not over. 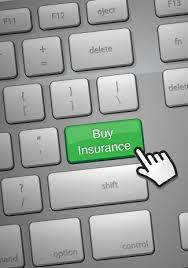 Online insurance distribution is not going away. CoverHound (one of Google’s partners) said that this may just be a temporary hiatus for Google Compare, allowing Google to re-tool and re-brand the online comparison and distribution service. CoverHound itself continues to offer insurance comparisons online. There is also comparison and purchase opportunities from the likes of PolicyGenius. In short, it may be welcome news to insurance agents that Google, with its billions in cash and technological deep bench, has exited the marketplace, but the game is not yet over. In fact, it’s still early in the first quarter. Consider the birth of Lemonade as a peer-to-peer insurance carrier who coincidentally (or perhaps purposefully?) also made news this week with the hire of high-profile behavioral scientist, Dan Ariely. If you haven’t heard about Lemonade yet, think of it as the logical extension of the peer-to-peer networked economy that has given us Uber, Airbnb, and countless other industry earthquakes. Just as Uber totally disrupted the taxi market, and Airbnb has dented (if not disrupted) the hotel industry, Lemonade could have the same effect on insurance. Uber and Airbnb also upset the existing regulatory framework in their respective industries, and Lemonade might do the same to insurance although they seem to be moving more cautiously than their more brash peer-to-peer brethren. Lemonade recently announced reinsurance partners that include several industry stalwarts. Can peer-to-peer insurance work? Let me put it this way: I’m not going to bet against it. Will it disrupt the insurance market? Absolutely. Is it the death knell of the independent insurance agent? No way. The insurance product is far more complex than taxi rides and overnight stays. I believe that there will always be a place for insurers and agents who provide real risk management services (personal and especially commercial), and win business by marketing more than just a commoditized price. Keep that in mind every time you sip your cool lemonade drink during the summer months ahead. This entry was posted in Insurance, online insurance, sales and tagged Google, Google Compare, Lemonade, MAIA, online insurance shopping on February 26, 2016 by drdavidallenbrown. Since it seems that everyone else is piling on to the dialogue regarding the Flint (Michigan) water situation, I suppose it’s my turn. It is not my intent to light a political brush fire here, but given the current election season and the emotional charge of this catastrophe, that may be easier said than done. My guess is that I will tweak someone’s political sensibilities before I’m done here even if that is not my intent. So here goes. The lead-poisoned water in Flint is a result of failure in so many ways that it’s difficult to catalog all of the failures. Moreover, I think the fact that the failure spans so many levels and departments of government is the heart of the problem. Infrastructure is one of the most basic and primary of all duties of government. As a society, we elect officials to be good stewards over our collective taxes and hire good people to administer the basic needs of society: roads, defense, courts, and other basic infrastructure. Honestly, all the rest of the activities of government (e.g., social programs, public education, etc.) are “add-ons” that have become a distraction and resource drain on the fundamental duties of government. The situation in Flint is disturbing, and that’s putting in mildly. Even more disturbing to me is the race to the bottom on full display among the political class and ideologues. Everyone is blaming someone else, covering their own backsides, seeking political advantage in what amounts to a sickening display of political gamesmanship. All while Flint residents continue to rely on bottled water and filters when what they really need is world-class emergency infrastructure project to replace the water pipes – something that a properly incentivized private sector contracting firm could pull off if the political class would just shut up and recognize this. The political left is hanging this all on Michigan Republicans. The political right is blaming Michigan bureaucrats and the Obama-led Environmental Protection Agency. The fact is, every level of government has failed Flint here. Democratic and Republican politicians along with unaffiliated bureaucrats working in a flawed administrative state all bear responsibility. Government fails because it’s incentives to manage such complex systems are all screwed up. There is no accountability, and that’s by design. It’s the EPA Animas River fiasco all over again. Same screwed up results, different year. Government fails. Big government fails big. Then the political class rushes in to assign blame, capture a political public relations advantage, and convince us that even bigger government is the only solution. The late Harry Browne (Libertarian presidential candidate in 1996 and 2000) used to say, “Government is good at one thing: It knows how to break your legs, hand you a crutch, and say, ‘See, if it weren’t for the government, you wouldn’t be able to walk. 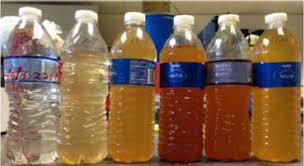 '” The Flint water catastrophe is a failure of government risk management, administrative management, oversight, and more. I don’t believe that any one person set out to poison the people of Flint, but that’s not what Michael Moore would have you believe. Then again, Michael Moore wants Governor Rick Snyder arrested so that he can sensationalize the entire disaster to help his leftist political causes which will only serve to give us larger and more incompetent government. Why do we continue to trust and put our faith in behemoth government bureaucracies at the state and federal level when they have so often and so spectacularly failed? Seems to me that this catastrophic failure of government at all levels and of all political stripes should be enough to convince us that maybe, just maybe, we should try downsizing the behemoths and trust ourselves at the local level just a bit more. We’ve tried everything else and I don’t see how it can get any worse. This entry was posted in enterprise risk management, politics, Risk Management, Uncategorized and tagged Flint, government, lead-poisoning, water on February 5, 2016 by drdavidallenbrown.